The Norwegian Parliament’s honour system for filing travel expense compensation claims hasn’t been working. Now the Parliament’s president will impose stricter rules and routines for how Members of Parliament seek reimbursement. Norway’s elected MPs have been viewed as only being answerable to their voters. That has allowed them to file expense reports and obtain compensation without anyone else approving their claims. The Parliament’s administration has mostly processed claims instead of controlling them, with little if any documentaion required. After newspaper Aftenposten exposed highly questionable expense reports filed by another MP on Wednesday, the Parliament’s President Tone Wilhelmsen Trøen is making another attempt to crack down. She already tightened rules in January, demanding that MPs now must provide documentation of their travel expenses and prepare for additional routines: if, for example, an MP combines job travel with personal travel, it must be specified. Trøen, who has defended the need for flexible airline tickets that can be more expensive and stressed the long days MPs can work while out traveling, now notes that the costs of all parliamentary committee- and delegation travel will be publicized on the Parliament’s website. Three MPs, two from the Progress Party and now one from Labour, have run into trouble over their individual expense accounts just in the past few months, and only after journalists had examined their compensation claims. MP Mazya Keshvari of the Progress Party faces criminal charges after Aftenposten revealed he had turned in expense claims for trips he never took. Now MP Hege Haukeland Liadal of the Labour Party has also been found to have claimed up to NOK 60,000 in alleged travel expense reimbursement for trips she never made either. State broadcaster NRK also found that MP Helge André Njåstad of the Progress Party had charged taxpayers for overnight stays at expensive hotels around Norway on trips that involved family events. He attempted to justify them by listing meetings with local officials while also celebrating his mother’s birthday at an expensive hotel in Hardanger, for example, but the private aspect seemed to outweigh political work. All three MPs have ended up going on leave or at least temporarily resigning from party positions but none can be fired as MPs, since they’re publicly elected. Liadal issued a statement on Wednesday in which she claimed it was “important” for her to correct “mistakes” she made on her travel expense claims. “It’s important for me to stress that I am very sorry about this,” she wrote, adding that she will pay back any compensation that was unwarranted. MPs have also been criticized for routinely flying business class and staying in five-star hotels on travel abroad. Aftenposten reported that a total of 609 airline tickets purchased for MPs’ travel cost more than NOK 20,000, while the use of luxury hotels also drew complaints from both the Progress Party and the Socialist Left party, which are at opposite ends of the political spectrum. MPs are also able to set their own travel and expense budgets for the parties’ parliamentary delegations, which has amounted to NOK 862 million (USD 101 million) over the past five years. 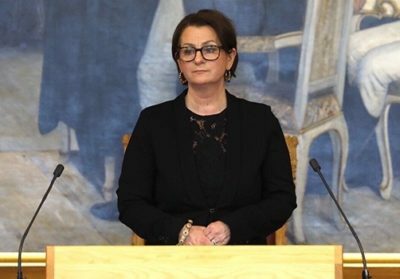 Norway’s largest political parties (Labour, the Conservatives, the Progress Party and the Center Party) have refused to reveal how they spend this sizeable chunk of the taxpayers’ money, although the Center Party recently bowed to pressure and offered more transparency over its spending. The other smaller parties who revealed that their delegations’ expenses spent part of their funding allocations on birthday parties, dinners and alcohol, even a golf simulator and wine tasting. The Progress Party spent the most money, but wouldn’t specify how. The delegations’ spending comes in addition to individual claims filed by MPs like Liadal, who live outside the Oslo area and have been entitled to commuter compensation that also could cover expenses while in the capital. That now may be changed as well. Per Hanstad, leader of Norway’s professional association for accountants, told NRK on Wednesday that the Parliament’s administration is responsible for the system that may have made it tempting for some to cheat on their expenses. He has advocated a stricter system because both the Parliament and the politicians themselves rely on the confidence of the taxpayers. “The system gets a scratch every time this type of (unwarranted expense claims) comes up,” Hanstad said. “I don’t think either the kingdom or the Parliament is well-served with that.” He likened Liadal’s offenses to those of Keshvari, and said he wonders how many other such cases may have escaped public scrutiny so far. Aftenposten editorialized last month that MPs risk losing voter confidence if they don’t disclose and rein in their own spending. They can also appear to live in “their own, closed bubbles,” Aftenposten argued, just months after huge budget overruns on a building project at the Parliament. MPs in Norway are paid NOK 956,000 a year plus coverage of travel and the costs of commuting to Oslo. They’re also able to stay for free in Parliament-owned apartments in Oslo if they represent areas more than 40 kilometers from the capital.